The Bay Club features a 37-acre gated waterfront community with three glistening lakes: Lake Newport, Southshore Lake, and Waterford Lake. The community offers fishing, strolling and biking trails, green shore areas for relaxing and napping in the sun, and a community clubhouse complete with a full kitchen and gathering area for parties and group meetings. 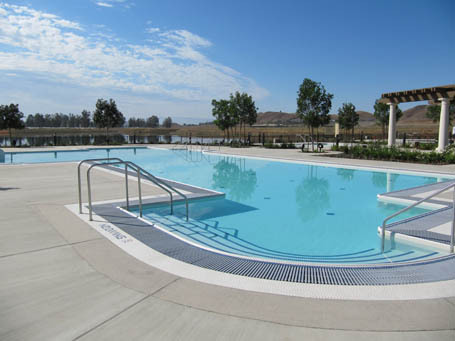 During the year, the clubhouse hosts seasonal events for residents of all ages, but it’s the multi-generational aquatic center serving the private multi-family residential development of over 1,500 homes that is the envy of surrounding communities.